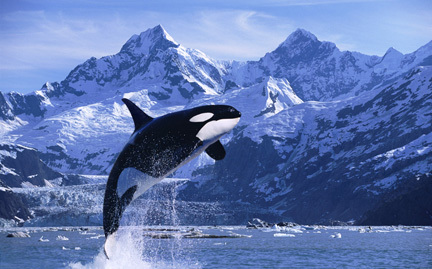 Often called ‘killer whales,’ orcas are found in all oceans but are most common in cold waters. One of the top predators of the sea, orcas feed on fish, small marine mammals, birds and even some slower-moving large whales. The largest member of the dolphin family, these giants need to consume up to five percent of their body weight every day. Formidable as they are, orcas are still at risk from pollution, disease and declining food stocks.